With all the attention on EVs, we can forget that plug-in cars probably aren't the only answer for cleaner driving. The day before California-based Tesla Motors was to unveil its upcoming Model X electric crossover SUV, shown here, I landed at at Los Angeles International Airport and took the wheel of a Natural Gas-powered Honda Civic, the car that would carry me to Tesla's big party. My experience in the Honda Civic CNG, and a later conversation with an engineer at Toyota's U.S. headquarters, got me thinking. Why all this attention to a luxury-priced electric SUV -- and to electric cars in general -- and so little attention to other cars that could be reducing our dependence on gasoline? The fact is, it isn't all about EVs. There are other "green car" options out there that have a role to play -- and in some cases a bigger role than the pure-electric plug-in car, for the foreseeable future. 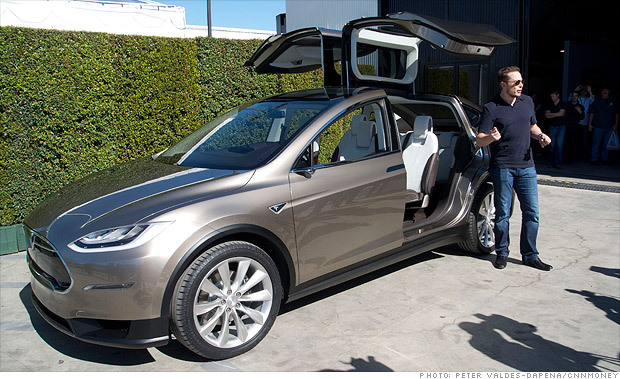 Tesla Motors unveiled a new SUV that the automaker plans to put into production by 2014.